The coastal waters of the Riviera Maya are home to the second longest coral reef in the world and the longest in the Western Hemisphere, the Mesoamerican Reef, which stretches nearly 700 km/450 miles from Cancun south to the Honduran Bay Islands. 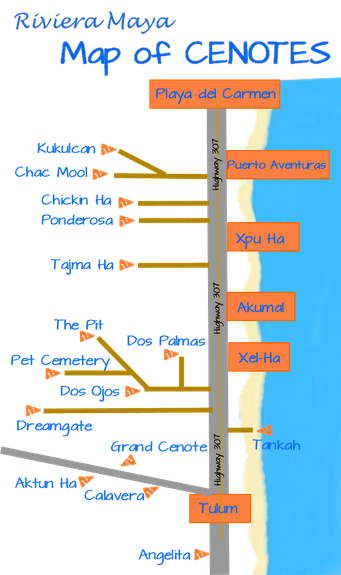 Playa del Carmen, Puerto Aventuras, and Akumal are the most known towns along the Riviera Maya where you can find coral reefs right in front them. In addition, every year, between the end of November until the beginning of March, a population of pregnant female bull sharks congregates in the shallow waters along the coast of Playa Del Carmen before giving birth in deeper waters, which has brought Playa del Carmen a worldwide reputation for its bull shark dives. The most mesmerizing diving in the Riviera Maya, however, is the fantastic world of cavern and cave diving in the mystical and sacred waters of the Mayan cenotes which offer certified recreational divers the opportunity to explore something very exceptional. Cenotes, which are only found in this part of the world, have made Riviera Maya's unique underground water system a diver’s Mecca for cavern and cave diving since 1987 when exploration of Cenotes Dos Ojos started. In the jungles nearby Tulum lie the two longest underwater cave systems (Sac Aktun 353 km and Ox Bel Ha 270 km) known on earth with spectacular formations and an amazingly clarity of the water. Diving in a cenote is an unforgettable experience… pristine water that allows incredible visibility of more than 300 ft (100 m), flooded gigantic halls, rooms, and tunnels "decorated" with stalactites, stalagmite, columns and helectites (legacy of the ice age), in addition to archaeological remains, ancient paints, astonishing light beams, refraction effects, hydrogene sulfide clouds, and haloclines (where the fresh and the salt water meet). Most of the caverns are accessible for divers without previous experience in an overhead environment. And we offer deeper and more challenging dives to divers with more advanced training or experience. 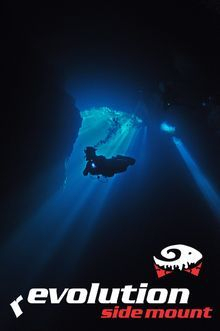 Further, with more than 500 miles (800 km) of guide lines, the area offers an unlimited number of cave dives for divers with technical certification of Full Cave. Click here to find out more about cavern diving or cave diving.